Within cold-forming processes, the influence of forming induced residual stresses is a critical issue regarding the life-time behaviour of the formed components. However, a targeted use of forming-induced residual stresses is also capable to improve the components properties. 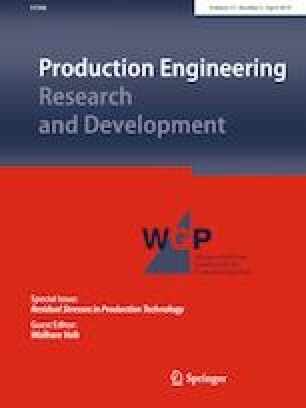 The rotation-symmetrical full-forward extrusion is used as a reference process to investigate the generation of residual stresses within manufacturing. A novel and generally applicable computational evaluation procedure is introduced, which achieves to compute and visualize the evolution of the residual stress state during the entire forming operation. Simulative results are compared with their experimental counterparts. The near-surface residual stresses in the formed component are evaluated in axial and tangential direction by X-ray diffraction. Indentation tests are used to determine the micro-hardness inside the components and optical instruments quantify geometrical differences. Our research activities are funded by the Deutsche Forschungsgemeinschaft (DFG, German Research Foundation) within the scope of the priority program SPP2013 - Targeted Use of Forming Induced Residual Stresses in Metal Components in the subproject P10 (project number: 374688875).